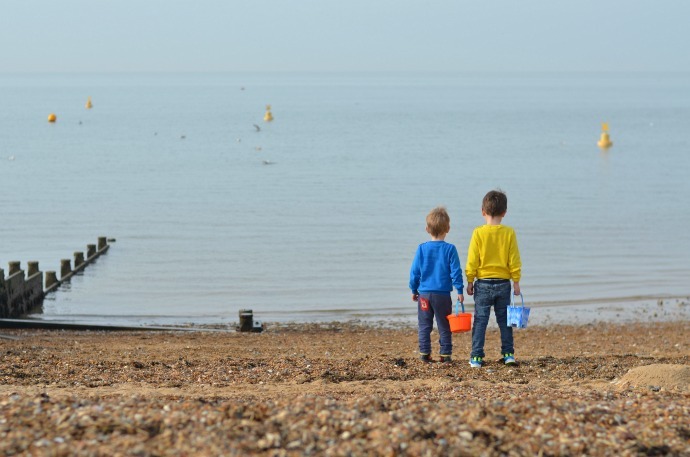 We have a beach just a few minutes walk from our front door and many others really close, but we love to hop on the train sometimes and head to Whitstable as instead of sand they have a pebble beach. 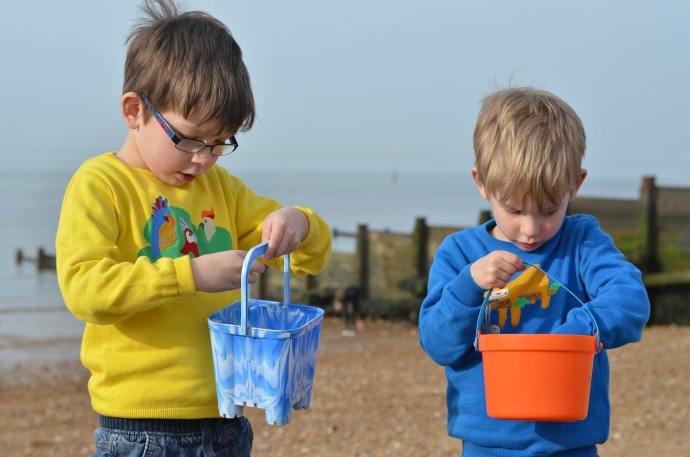 The boys love finding shells, skimming stones and exploring somewhere a bit different, and I love wondering along the sea front past the stalls selling fresh oysters and prawns. 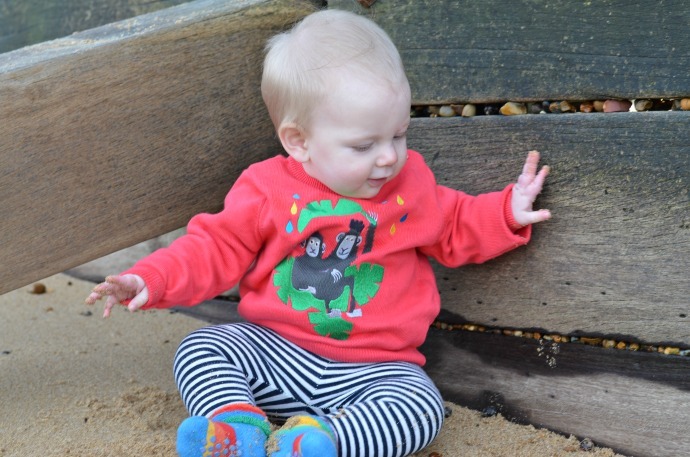 Tootsa MacGinty, one of our favourite ethical brands have just launched their new collection and one of my favourite items was the Peru jumper. 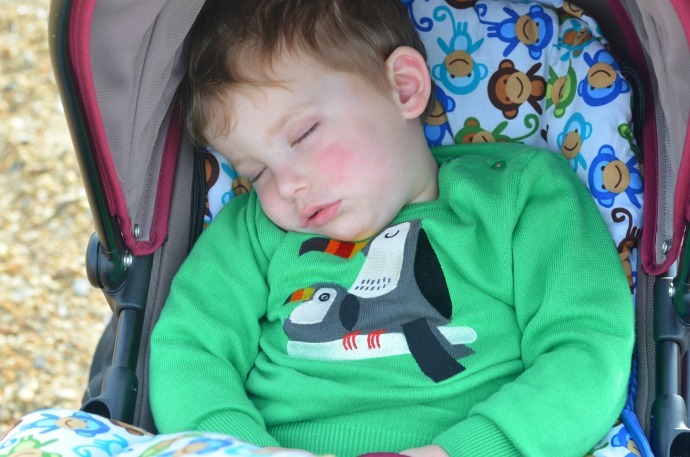 It comes in four different designs that look amazing together and seperately and works perfectly for my four children. 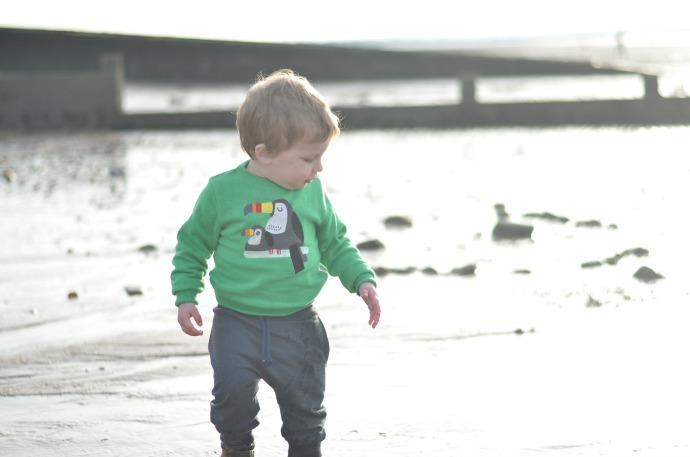 Tootsa create clothes for children and their unisex designs are colourful and fun as well as beautifully made and long lasting. 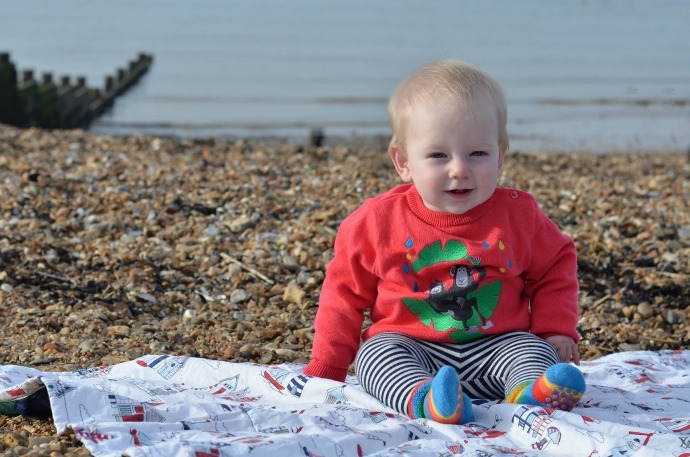 Everything we have had from them has washed so well and Cora has lots of Tootsa to grow into from her brothers! 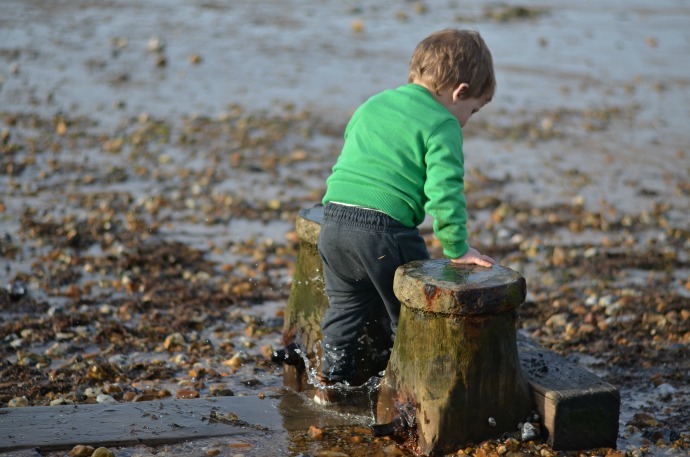 I took some photos last weekend whilst we were enjoying the early Spring sunshine at the beach. 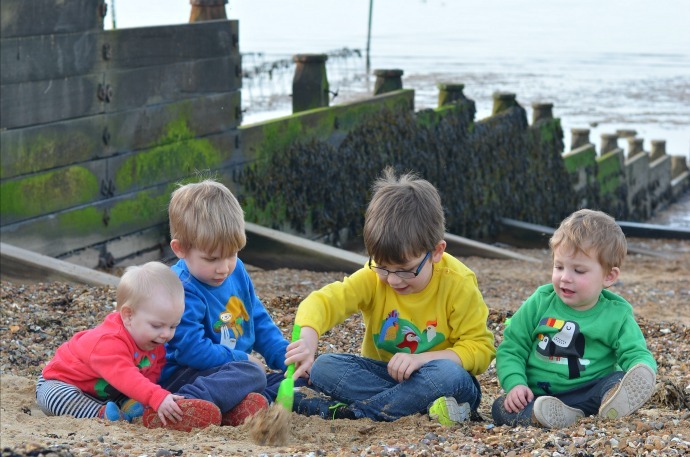 The children look so perfectly co-ordinated without being matching and the vibrant colours really stand out. 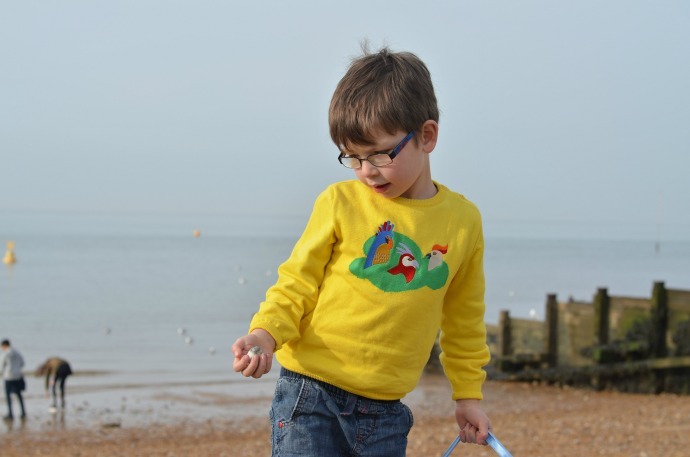 The whole range is really imaginative and playful and all the jersey wear is organic cotton. 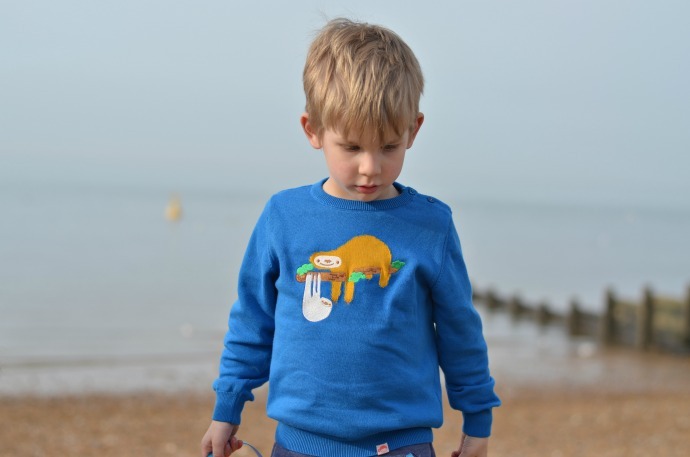 The boys all love their jumpers and it has opened up lots of conversations about animals and the rainforests too. These are ideal for layering and will last us through the spring and the British summer too. The sizing on these is quite true, however if you are trying to decide between two sizes I would definitely recommend sizing up. 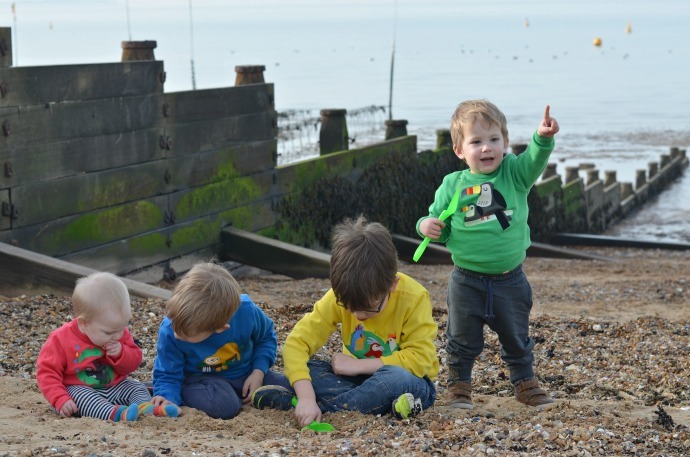 (Cora (8m) is in 6-12 months, Finn (2) is in 2-3, Archie (4) is wearing 5-6 and Dylan (5.5) is in 6-7). 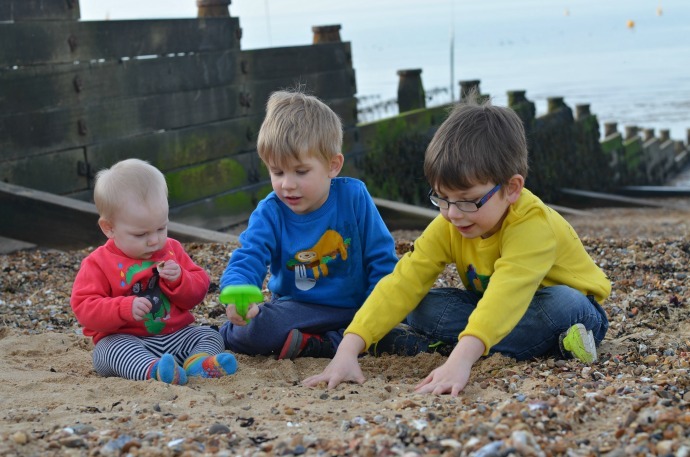 Thank you to Tootsa for sending us the perfect Spring jumpers!